The Sketch file is well organized, labeled, layered and full of editable shape layers. Most people find it useful for mocking up apps. 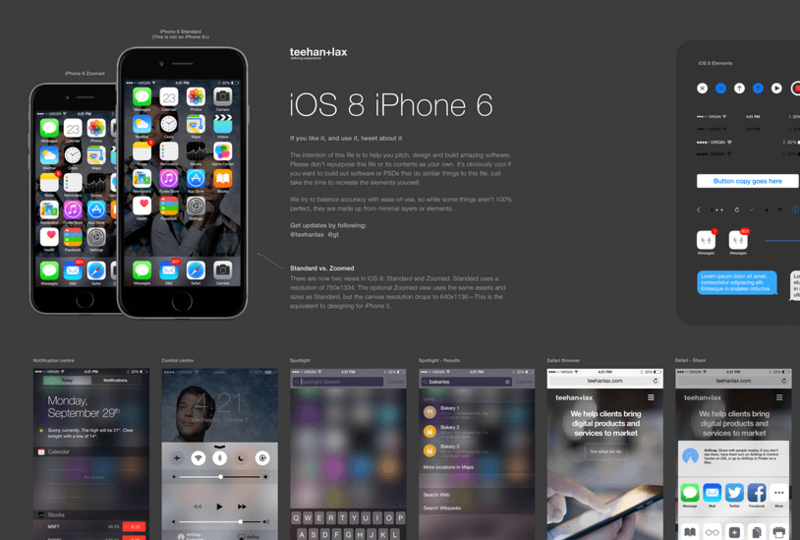 Others use it to concept ideas or create custom interface elements that work harmoniously with those native to iOS. Whatever your use, we hope you enjoy it.